Which Curl Pattern Best Suits You? 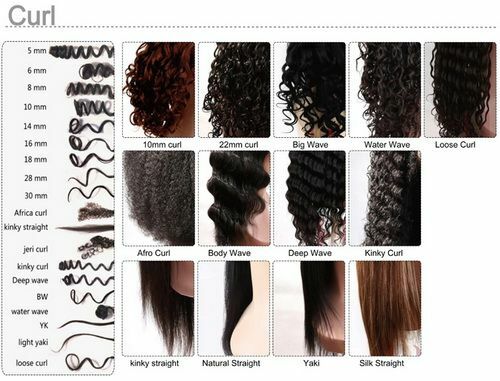 Picking a hair texture has to be one of the hardest decisions to a female who loves hair extensions! How do you know which hair extensions will work best with your natural hair texture? Consider the texture of your hair when choosing hair extensions, is your hair straight, wavy or curly? Choose your hair extensions according to the texture of your hair, avoid wearing curly extensions if you have straight or wavy hair as it will not blend with the curly and may even be difficult for you to manage. Now, this doesn’t go to say you can never wear curly hair if you have straight hair, but you would need to add a lace closure or lace frontal. You can find hair extensions in a variety of colors and shades. Unless you are going for an ombre or dramatic look, it is best that you stick to hair extensions that match your hair color as closely as possible. Unless you happened to color your hair a bright color then coloring your hair extensions to match will be fine because hair will blend seamlessly even if the hair color isn’t a natural hair color. Short or long choose whatever look you are comfortable with if you have always wanted to try short hair because its summer and you want a bob then go short! However, if you love whipping your long hair extensions around then go for the longer hair extensions. When going short and you have long hair be careful that you don’t cut your natural hair. If your hair is longer than the weave we recommend getting a lace closure that is the same length of the bob.